Am Anfang war das Wort! 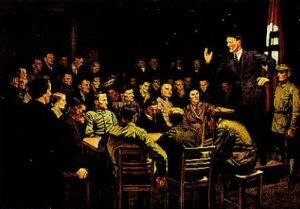 "In the beginning was the word!" 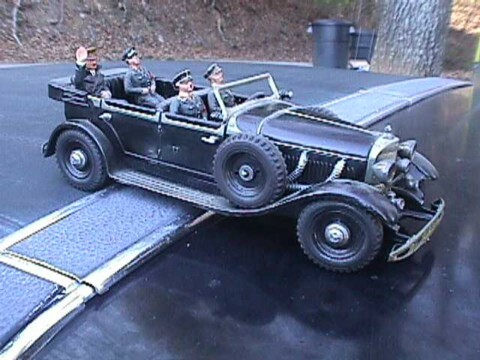 DESCRIPTION: This is probably considered the ultimate in German toy-collectors' dreams. Although parts are missing and the figures are well worn, this is one of the neatest relics of the era. 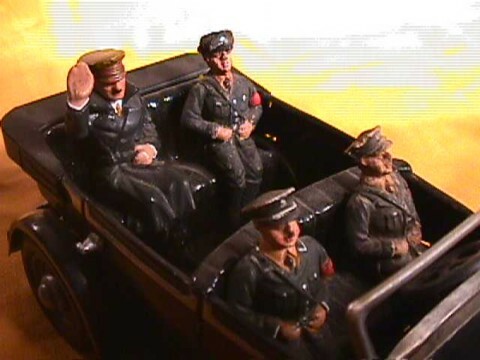 Hitler in Eslastolin or Lineol composition with three SS guards that ride along in one of the famous Mercedes armored touring cars. It's 100 percent original. 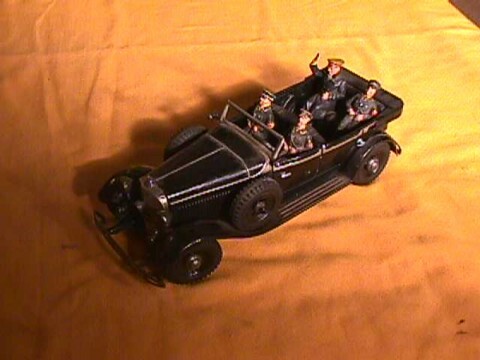 There are no markings on the car or the figures. The fender flags are missing as is the Mercedes hood ornament and something from the grill. 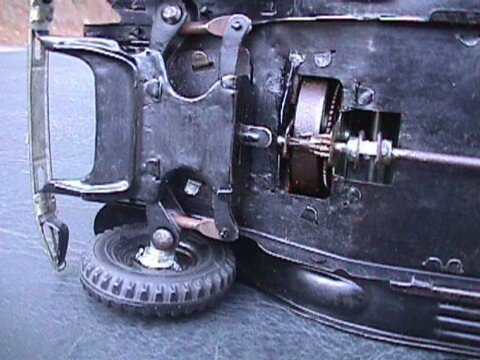 The car was once mechanical, but no longer runs. 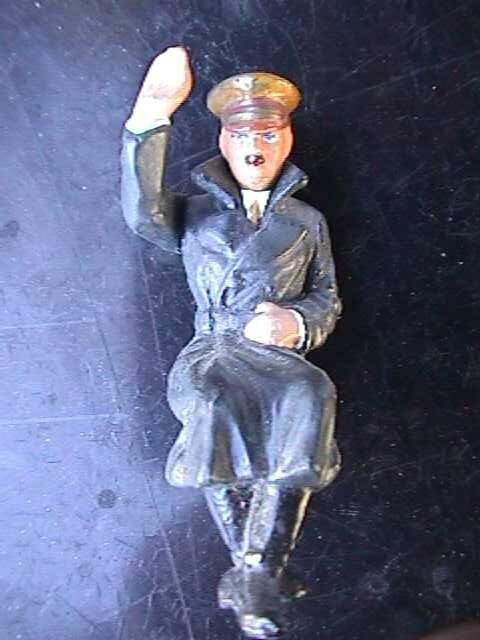 The Hitler figure is probably from another set, but all in all we have here a fantastic and desirable relic of the Reich that is both dramatic and historically important. With 42 years in this business, our curator/researcher has seen only one other. 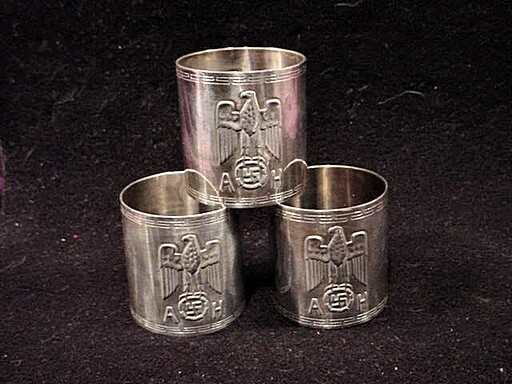 DESCRIPTION: These are fine original napkin rings from the residence of Adolf Hitler in the Obersalzberg over Bertesgaden in the Alps. 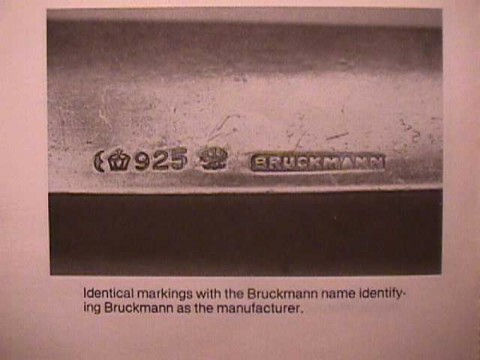 These are incredibly fine and marked by Bruckmann, the firm that was the maker of most of the Führer 's silverware, other than the flatware that was made by Wellner. 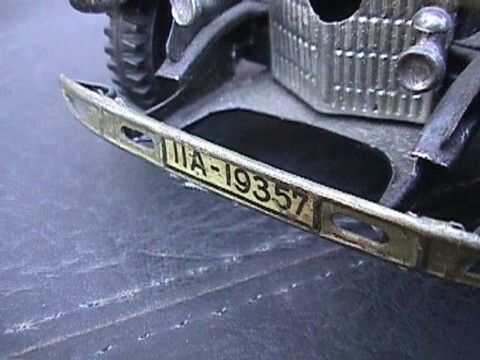 We have several of these that were brought back in 1945 by a veteran of the 101st Airborne. They are a bit tarnished, but that is the way we leave them. 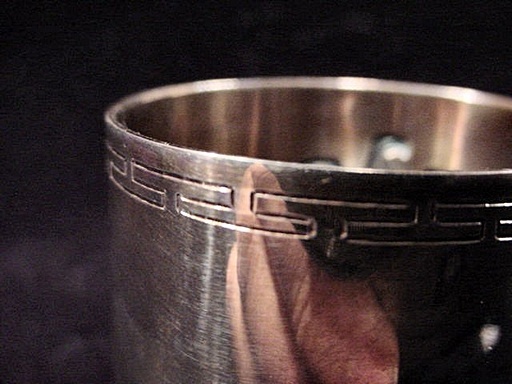 I polished one of them slightly for the pictures, but I usually don't alter anything, even to polishing. I Leave that to the collector who purchases. They are 1 ¾ inches high with a diameter of 1 ½ inches. 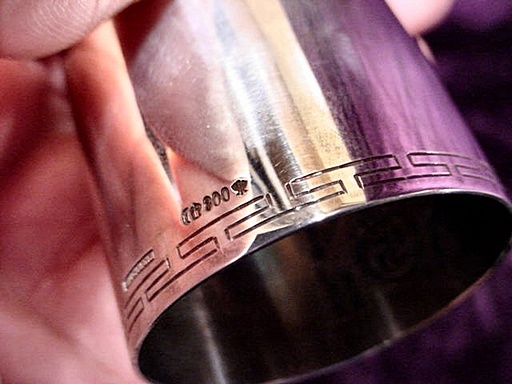 The Bruckmann mark and the assay mark with the crown, moon, and eagle, plus 800 are clear as a bell. These are first-quality table-service items (of course). An elegant relic indeed and vastly important to history. 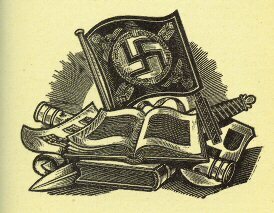 The veteran looted four boxes full of these items from a storage facility in what was the basement of the Berghof in the Obersalzberg. He has released a few at a time to us and he watches our site closely. 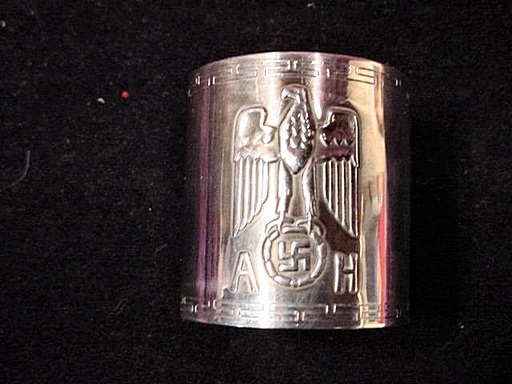 There will be a time when we will be able to get no more from him as he believes as we do that these Hitler personal items will eventually bring a “young fortune” in the near future. 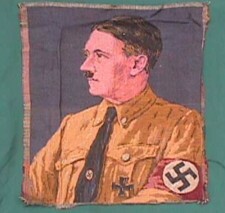 We have seen nothing yet as to a ceiling on NS and, especially, Hitler items. Consider yourself lucky if you are in time to procure one of these great relics having belonged to one of history’s most controversial world leaders. These napkin holders were used only for the most formal of dinner or lunch occasions. 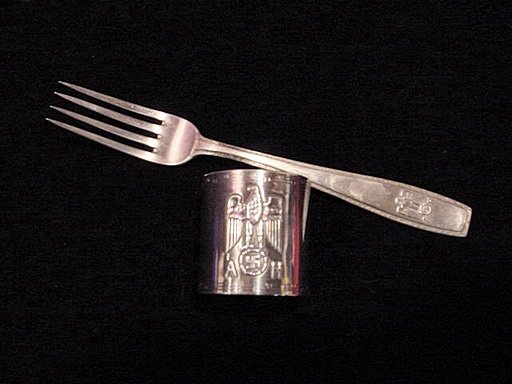 They were used along with the formal flatware. 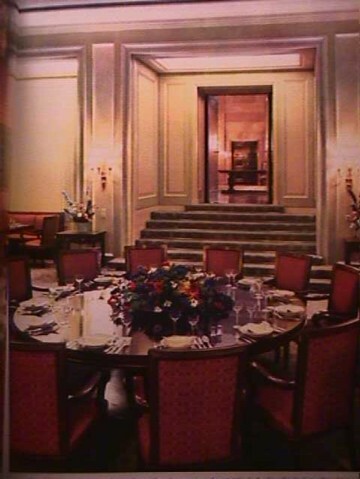 For lesser occasions the informal flatware was used. 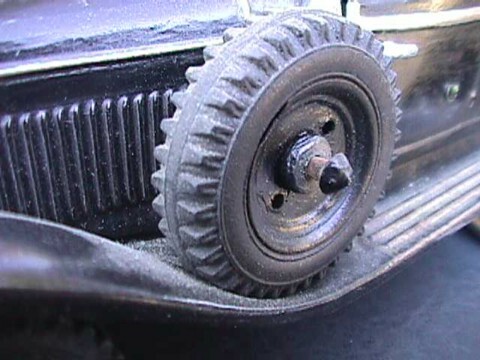 See Item AH 21-12a. To see formal AH flatware, go to Item AH 9-3. So we are not only referring to an exciting, dramatic relic, but also a very sound investment, as well. 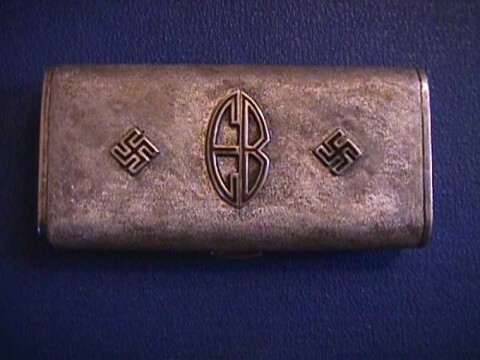 DESCRIPTION: This is an extremely fine little compact that was the property of Eva Braun, whose love for Adolf Hitler placed her in the center of the turbulent history of the Third Reich. She was called his mistress, and at the purported end of the it all, his wife. 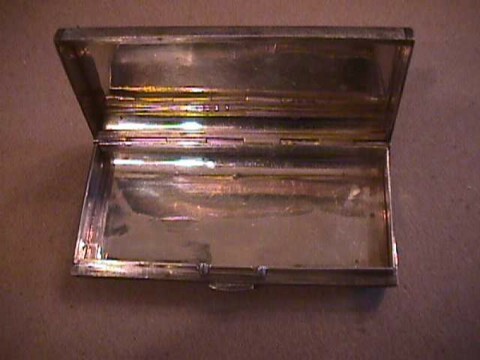 The case is possibly silver although its inner lining is not. 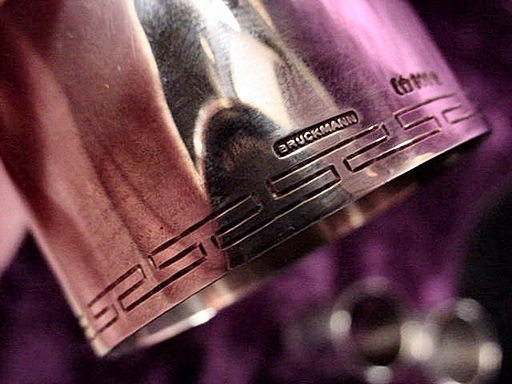 This is probably because silver tarnishes and would necessitate frequent cleaning. The little opener is set with tiny garnets or perhaps rubies. 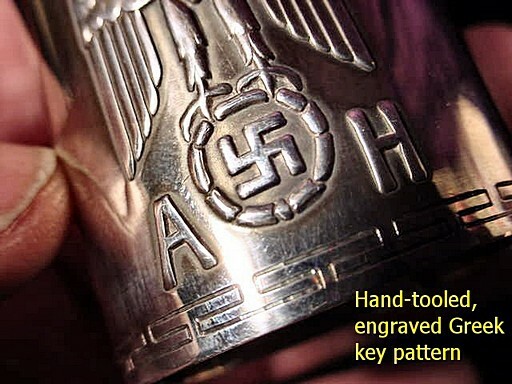 The 'EB' and the swastikas are silver with enameled centers. The 'E-B' is one of the usages of the logo favored by Eva. 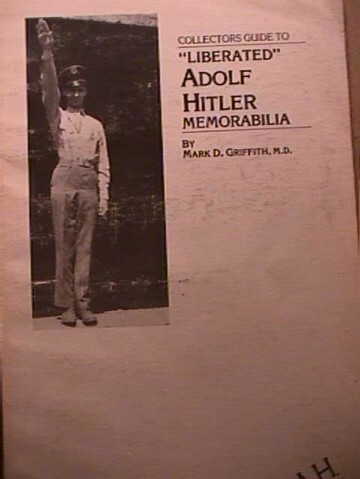 The book by Mark Griffith, Liberated Adolf Hitler Memorabilia, Vol. 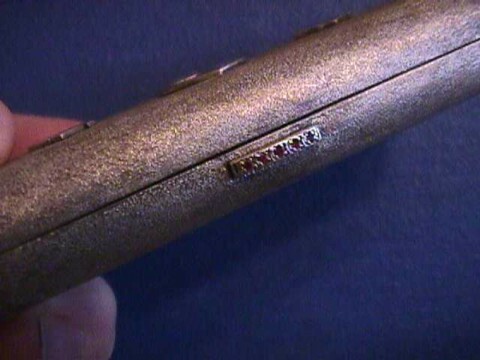 II shows the use of this particular logo on the items in her "French ivory" overnight case. This differs from the usual butterfly design, but definitely is the later pattern. The compact measures 3 ½ X 1 ¾ inches and is 1 ¾ inches thick. 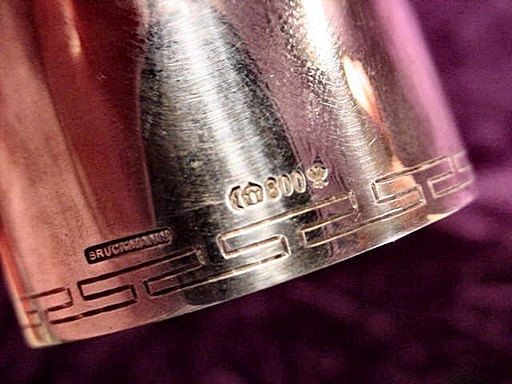 This is a very beautiful item as well as historically very important. 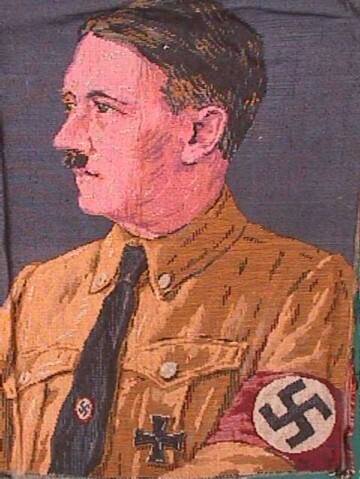 DESCRIPTION: This is a machine-woven tapestry circa 1930's showing the Führer in the pre-1933 election uniform know as Der Kampfzeit Tracht, the uniform of the Time of Struggle. The likeness is phenomenal. It measures 16 inches across and is 18 inches high. 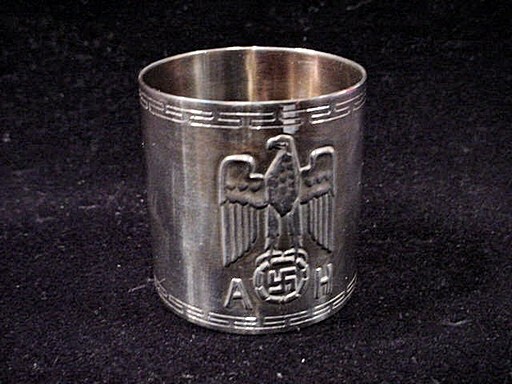 The soft pastel-looking finish is quite pleasing and it certainly could be said that this is a very rare art object of the turbulent history of the NSDAP. They don't come better. 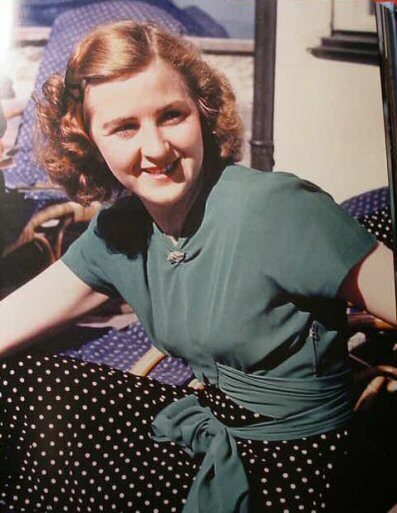 It should be framed and would be a great center piece in a Nazi-Party collection.